We can’t help but think Steve Jobs would only be pleased and proud that the fronter of Punked will soon be stepping up to play him in an upcoming independent film. 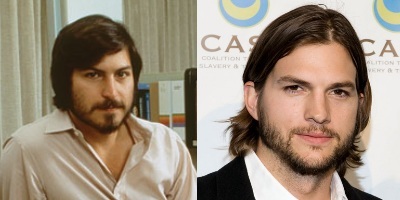 Though Sony have yet to cast their leading man (they have the rights to the adaptation of Walter Isaacson’s book Steve Jobs), nothing’s stopping indie director Joshua Michael Stern from creating his own take on Jobs’ story, with a script penned by Matt Whiteley. And, to be fair, they look similar. That’s all acting is, right? According to the official statement, the film – currently entitled Jobs – will cover Jobs’ journey “from wayward hippie to co-founder of Apple, where he became one of the most revered creative entrepreneurs of our time.” Wayward hippie? Sure. We can totally see that. 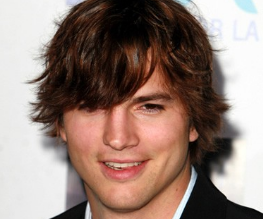 Revered creative entrepreneur… well, we’re willing to live in hope of Kutcher’s talents. But there’s only so often we can all go “BUT REMEMBER THE BUTTERFLY EFFECT?” Anyway, yayz for the independents, anyhow. And look how similar they look! That’s all that matters! Sold? Yeah, us neither, but LET’S WAIT AND SEE. Previous: Will Emily Blunt Star In ‘The Thin Man’ Remake?